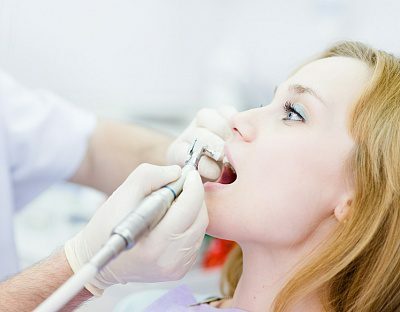 At DrPauloPinho.com.au , we offer, what is possibly the Lowest Fees for a Dental Check-Up and Cleaning in Sydney. Our services include Digital X-Ray, Complete Dental Examination, Scaling, Polishing and Fluoride. We will also consider a No Gap payment option with patients who already have a valid health insurance. Dental check-up and cleaning should always be the first step to healthy oral care and your overall health. After your first visit to our clinic in Sydney, our doctors and dental team will prepare a thorough treatment plan that should put you at ease. We will help you through each step in the dental treatment process and also let you know of all options in treatment and pricing available at your end. However, be assured that you will get the best teeth cleaning cost in Sydney. Why Teeth Cleaning in Sydney necessary? Calcium and other elements from the saliva inside your mouth frequently wash your teeth, serving to keep them safe and healthy. While it’s a good thing, over time, it can start to a formation of plaque and solid deposits known as tartar. Cleaning or flossing cannot eliminate tartar and if permitted to collect provides the perfect circumstances for bacteria to grow on the teeth. If a dentist does not regularly remove, it can start causing gum infection and even loss of teeth. That’s why we suggest a six-month dental cleaning program, and our teeth cleaning cost in Sydney is affordable. Not just will your teeth feel bright and clean, but it also provides our dentists with the opportunity to detect any other issues, such as tooth decay so that they can be identified and worked out early with the smallest amount of complaint and loss. To assure we give the best desirable service, it is necessary that we get to understand you better. We will need to address lifestyle circumstances and customs that may affect your oral health and also any matters that you have known. It forms an essential part of our duty as the further we know, the better we can help you change your oral health. Once we have a good knowledge of your dental health practices and find any possible difficulties, our dentist will advance with a complete exam of your mouth. We will begin teeth cleaning in Sydney by smoothly eliminating tartar films from your teeth, moving into all complex areas that regular cleaning and flossing can’t. We then floss and polish your teeth. A fluoride medication will be administered straight to the outsides of each tooth to better protect them from the bacteria and acids in your mouth that produce decay. You mustn’t eat or take for at least half an hour afterwards to give your teeth time to receive the fluoride and fix any small patches of decay. What follows after your check-up & cleaning? Once the test has been made, our affordable dentist in Sydney will give you with a complete update on your oral well-being. We will guide you through any difficulties you might have and reply all of your issues. It’s time well spent, and you must take comfort in our dentist’s experience and expertise to discover more information about your teeth.